The metal is too thin & it looks gay. It could become a projectile in a wreck. A pretty heavy one at that. I'd be afraid I'd scratch my hood if I needed to remove it in a precarious situation. I am worried about the jack becoming a projectile as well, that's why I want a prefabbed mount instead of making my own. 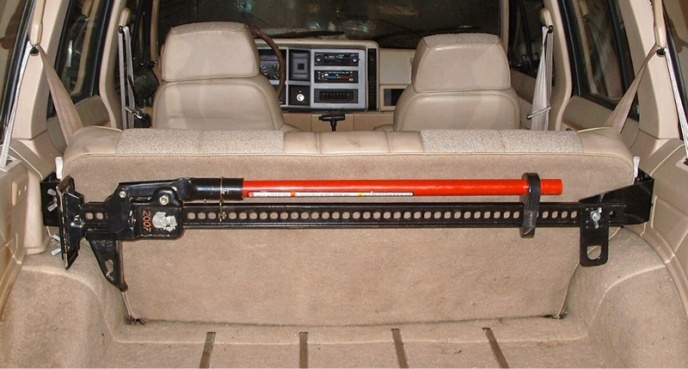 What about an inside mount in the cargo area, anyone know of a manufacturer mount for that style? I havent seen anyone that makes a bracket for the hi lift anywhere on a XJ other than a rear bumper. I've seen home made ones that go there though. Search River Raider interior hi lift mount for xj. They are about $75, but worth it if you don't have the stuff to fab it up. If you do have metal skills, it would be easy to make one from plate steel and hardware. Also, please don't mount it to your hood. It's really dangerous because the jack is so heavy and the hood is like a beer can. That thing could take your head off in a crash or even just general off-road driving. I usually don't give people advice like this, but I would hate to see someone get hurt. 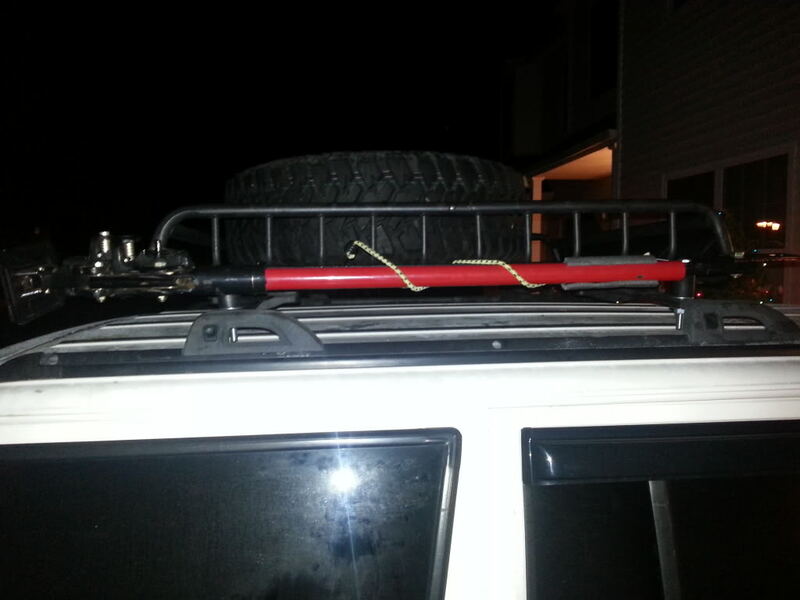 You could also attach it to your stock roof rack cross rails using two bolts and a few nuts. This is exactly what I did. It's very solid. I used 1/2" bolts and added a thick rubber bushing in between the jack and the rails as a vibration damper. The bungee cord is just holding the handle in place so it doesn't vibrate. Thanks for the suggestion of the roof mount, however, I am taking it off for my light bar install. The River Raider is exactly what I am looking for. Only thing that may be annoying about the River Raider mount is if you need to carry something large that involves folding down the rear seat. Also it gets in the way if you ever decide to camp/sleep in the Jeep. If your gonna sleep in it you can take high lift out easy and put it in the front seats.And again if your gonna haul something take it out and leave it at home.